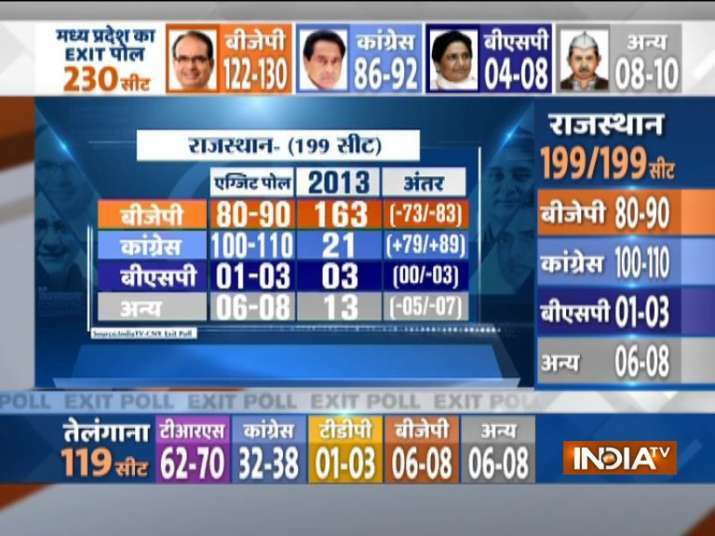 According to India TV-CNX Exit Polls on Friday, the Congress party is likely to return to power in Rajasthan. It may win 100 to 110 seats in a House of 200, while the ruling BJP headed by CM Vasundhara Raje, may slip to 80 to 90 seats. BSP may win one to three seats, while 'Others' may win 6 to 8 seats. 'Others' include Rashtriya Loktantrik Party, Bharat Vahini Party and independents. 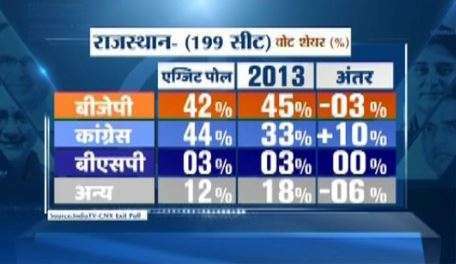 In 2013 polls, BJP had swept to power with 163 seats, Congress got 21 seats, BSP won three seats, and Others 13. 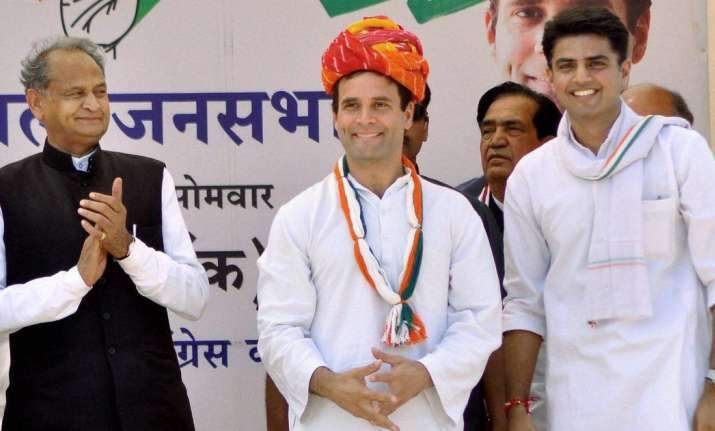 Vote share wise projection says, Congress may get 43.5 per cent of total votes, a huge 10.43 pc jump over 2013 vote share, while the ruling BJP may get 41.75 pc, a decline of 3.42 per cent compared to five years ago. BSP may get 3.15 pc votes.